Does your wooden deck need a little TLC? The weather is warm, so you’re probably getting a lot of use out of your deck. That means that you might need to perform a little maintenance on it to keep it looking its best. Today we’re going to give you the essentials on wooden deck maintenance that will help keep your deck strong and healthy. Would you like to learn a little more? Well, here we go! 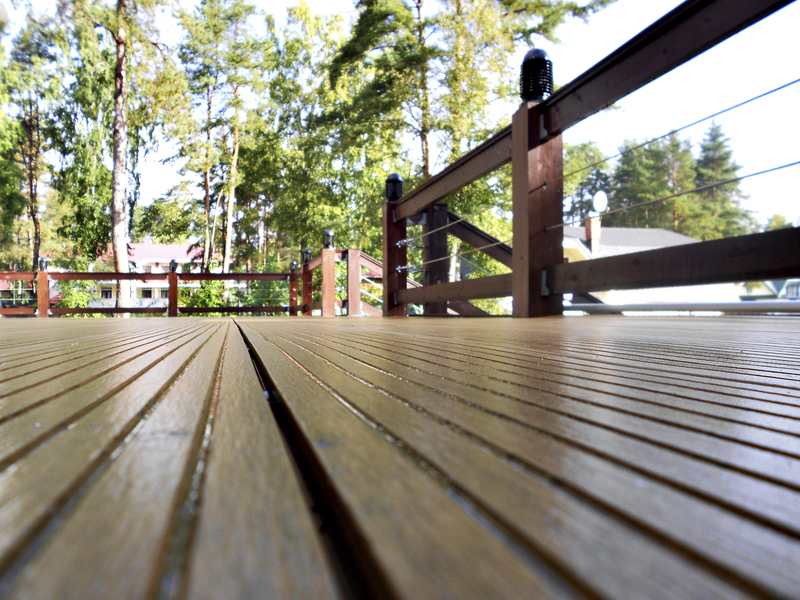 How do you know if you need to give your wooden deck a little TLC? Well, there are some things to look for. Look at the planks of your wooden deck. Are there cracks and chips in the paint? Does it look like there is a little mildew or mold growing? Does the stain look weathered? These are the kinds of things that may prompt you to go ahead and give your deck the care it needs. The best place to start, is with a wash. Your deck can be cleaned with a little cleaning solution and some water, so give it a shot. If you have a pressure washer, then it will definitely come in handy here. Just make sure that you’re not putting too much pressure on the wood, or you may cause gouges. Let the deck dry overnight. The sun is going to wreak havoc on your deck as the summer gets hotter and hotter, so make sure to do this periodically. Structural damages may get out of hand without repair. Structural damages can pop up at any time, but they should be dealt with swiftly so that they don’t get worse. If your wooden deck has planks that are broken or splitting, then you should work on replacing them promptly. Nails that have popped out should be returned to their original place using a hammer or a cat’s paw. Stain your deck to keep it looking fresh. 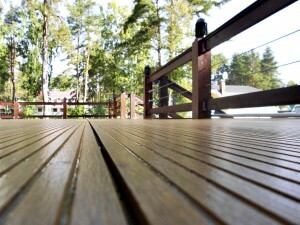 Even if your deck has been stained before, you may need to do it again. You can use a transparent stain if you like the color your deck currently has, but there are colorful options as well. Once you’ve chosen your stain, you need to break out the protective eyewear. Go ahead and put a layer of stain on your deck with a roller or a paint brush. Leave the stain to work its magic for about 20-30 minutes. Give it a second coat for maximum protection and you should be good to go. A stain will protect your wooden deck from the harshness of the sun, but if you don’t want to deal with any of this then you can check out low-maintenance composite decking. Do you need a wooden deck to maintain this summer?